We've talked about Built NY around here before. Personally, I love the Tidy Bib. But! They just came out with a lunchbox, called the Munchler. Like the rest of their products, they are made from durable polypropylene insulating food and water like none other. And they unzip flat into a placemat. I love Built NY! Missy- do you own a tidy bib yet? They are so great. Hands down my favorite out of the dozens of bibs I own. 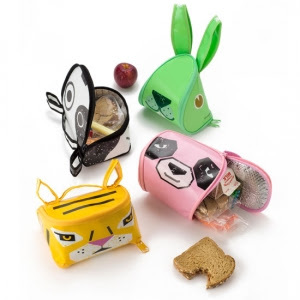 These lunch boxes are a steal! And so cool. Yep - love the tidy bib. It's the best one. I need more of them and I don't own enough bibs.